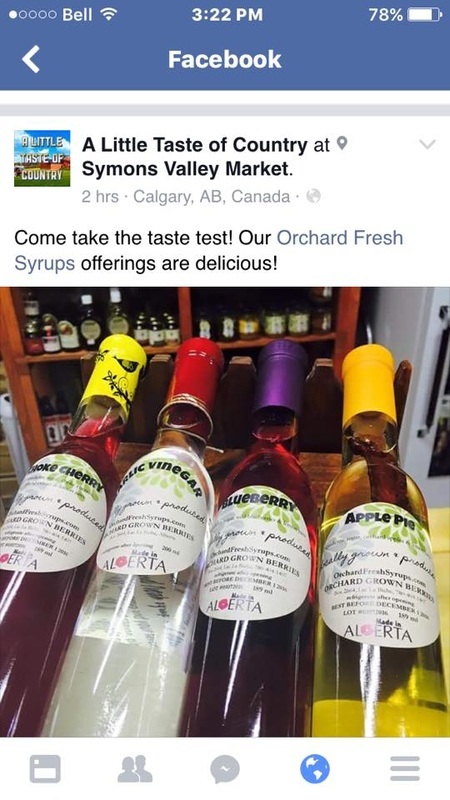 You can now buy our Syrups and Soups at Southshore Hidden Treasures in Slave Lake! 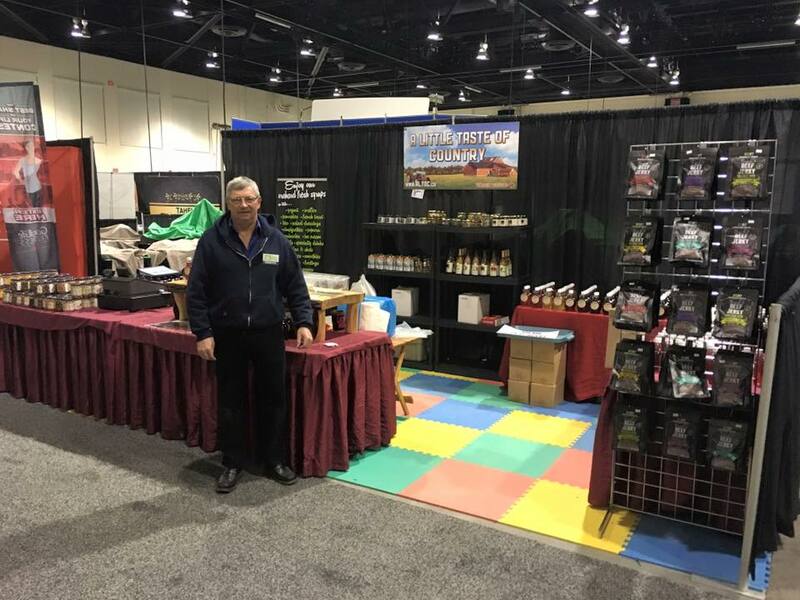 Syrup Boss Al delivering to Freson Bros. in Stony Plain! 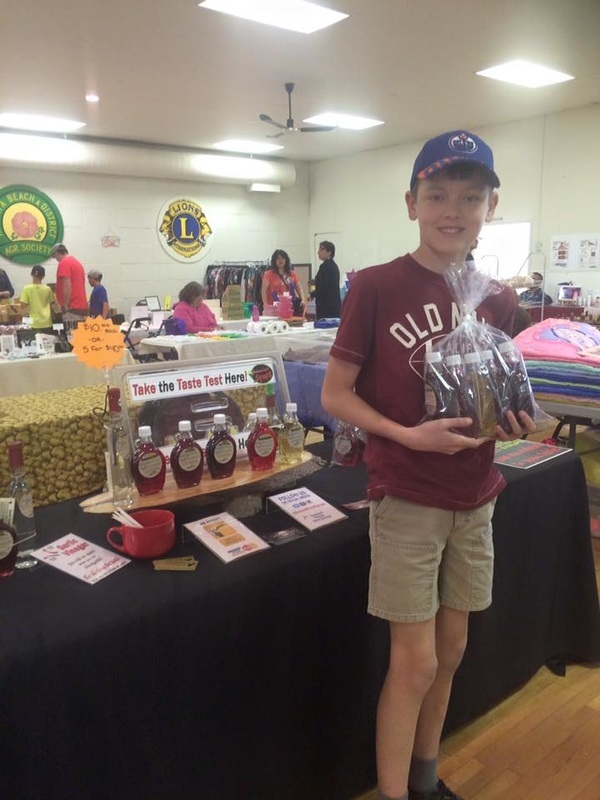 Dylan Magus is our big winner today in Alberta Beach! Congratulations Dylan! 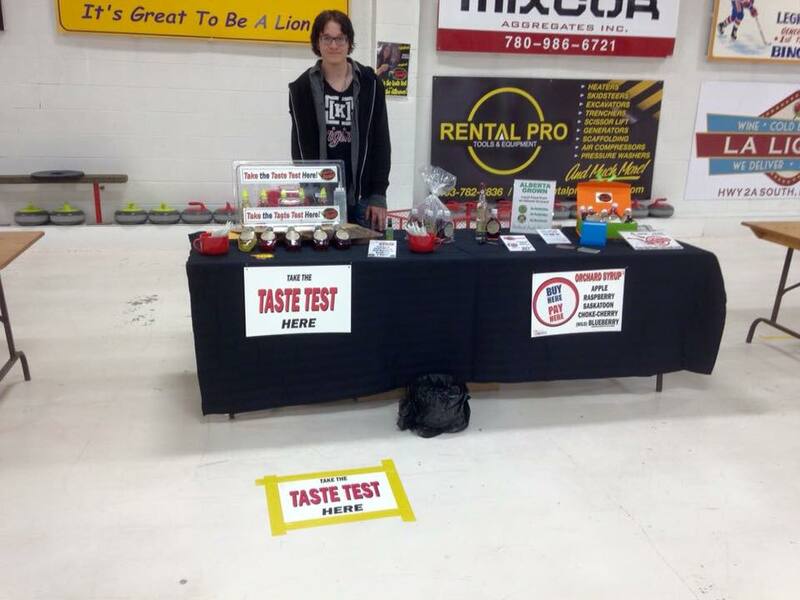 Elana Fedorak did the taste test in Edson and was the lucky winner of a 5 pack! 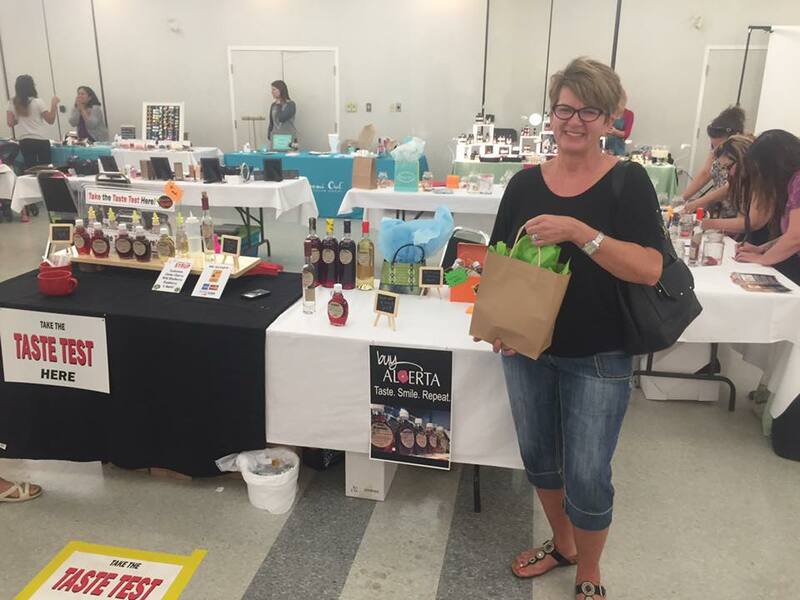 Shannon won all 5 syrups from April 23rd event in Cold Lake! 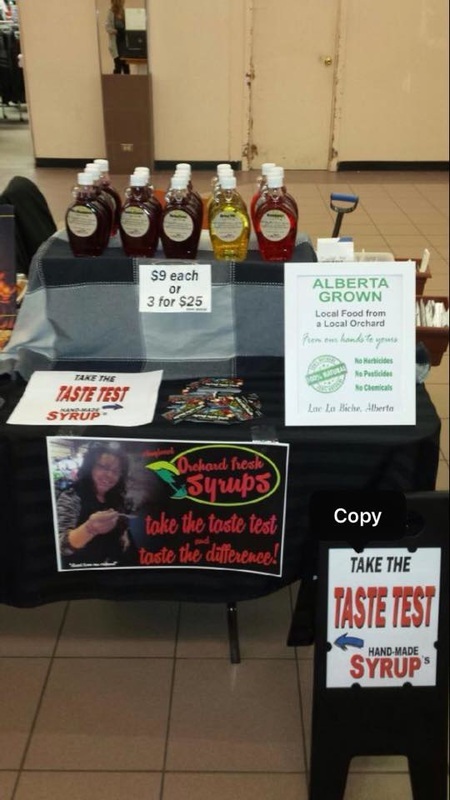 Take the taste test get entered for your chance to win the orchard! and take the taste test. by the University of Athabasca. 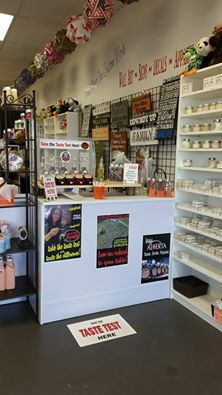 New vendors are welcome, call 780 675-4398 for more information. If you would like a table we will need to know Friday's before 5pm. Call Pat at 780-915-5634 to book. 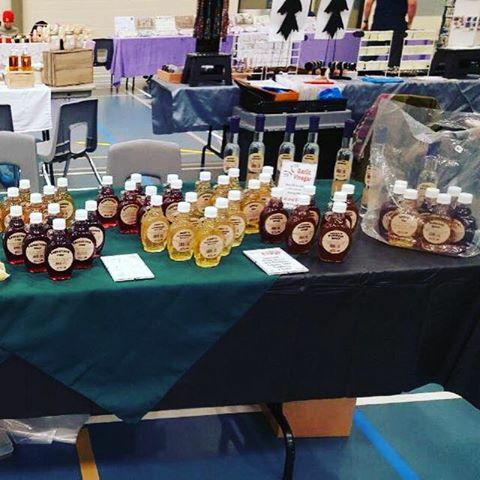 New vendors are welcome, Call 780-594-0667 to book. 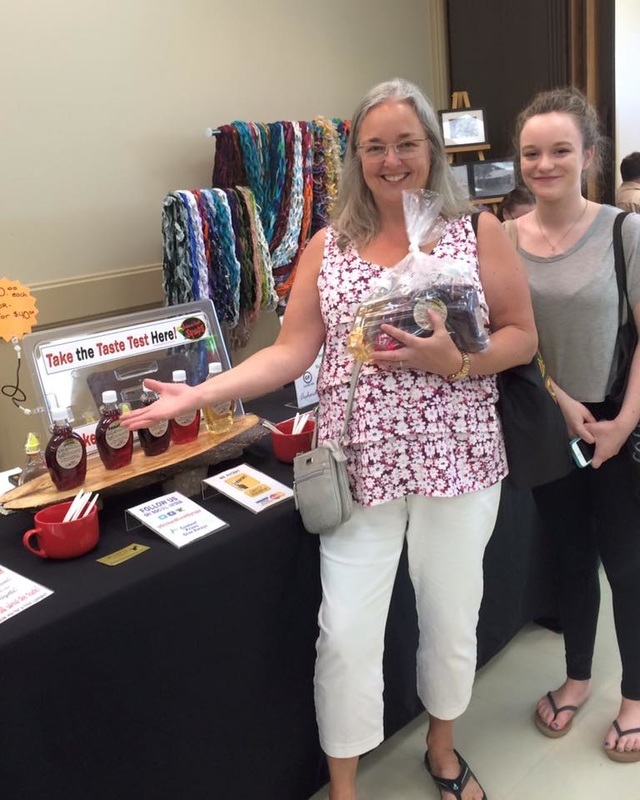 New vendors are welcome, Call 780-614-5582 to book.